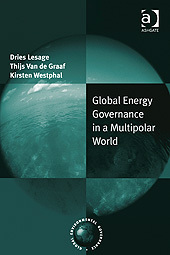 Global Energy Governance in a Multipolar World investigates the relationship between the emergence of a multipolar world order and the enormous challenges of global energy governance that the world is facing in the 21st century. It reflects on fundamental questions such as how the main consuming countries can avoid conflict over scarce resources, how they will cooperate to bring about open energy markets, energy conservation and efficiency, and how they can promote renewable energy sources. Multipolar governance permits a number of important states to have significantly more economic and political clout than others, but among them there is hardly any hierarchy. The new energy challenge, with its intricate socio-economic, ecological and international-political considerations, is a multi-dimensional, multi-level and multi-actor issue that requires a minimum of ‘central’ political steering, because neither the invisible hand of the market, nor unilateral or bilateral power politics are capable to bring about sustainable solutions.